Probes are opportunities to advance our learning, to improve our lessons and to identify insights and ideas from both teachers and students: ideas that otherwise would not surface. So after each lesson we ask both students and teacher to fill out a ‘probe’ – a Mind Lib – designed to be half fun and half struggle. You as a teacher write lessons all the time but do you stop to get feedback from your students? It’s one sure way to get to know your students better. And if you, like us, want students to take charge of their own learning it’s one way to empower students to begin to hold themselves accountable. We’ve found that just asking students their opinion is enough to engage them further. But if an idea they put forward is adopted that’s really empowering! What follows below is how we looked at LREI (Little Red School House) students’ feedback along with our insights from student comments and our thoughts on how we might refine My Future Self. Consider it a model for how you might adjust your lesson design and instructions the next time! The average came in at 6. We asked students what skills they used to complete the project. Top of list and most noted was using their “imaginations,” “creativity,” and “thinking hard.” Other skills listed included doing research, writing, drawing, touch typing, organization and interviewing. They also noted they used patience, humor, logic, problem-solving, and sharing with others. We asked students to tell us how they challenged themselves and what they were most proud of in completing the project. They also added: taking my time, being neat, giving myself a deadline, staying focused, sticking with the project, persevering, and finishing it. The design of My Future Self is intended to encourage kids to open up and become aware of their futures in more concrete ways. A large number of the students stated that they want to explore more aboutwho they want to become when they get older. Many students would also like to know more about the people they chose to research. They expressed wanting to know about “not famous but important people.” Those who interviewed family members cited wanting to know more about them. And several students said they’ll like to do the project again researching other people. They also liked drawing, filing in the timeline, and using the computer to research online. And they enjoyed sharing their discoveries in class conversations. We asked students for their ideas about how to improve the project the next time. Their comments broke down into several groups—timeline format, time, and instructions. The squares dividing up the timeline panels were interpreted as a vehicle for visuals and not words, and the boxes were constricting. Given this feedback how might we design the timeline structure to be more flexible? Considerations and questions: Condensing down information and learning how to work within constraints is a valuable lesson in and of itself. So how might we encourage students to use the structure with words or pictures or symbols or other creative of ways to capture information on the timeline? Is there a way to design the timeline with more flexibility and still keep some guiding structure in place? The project does take time and each teacher who presents it will have to work within their own time and schedule constraints. 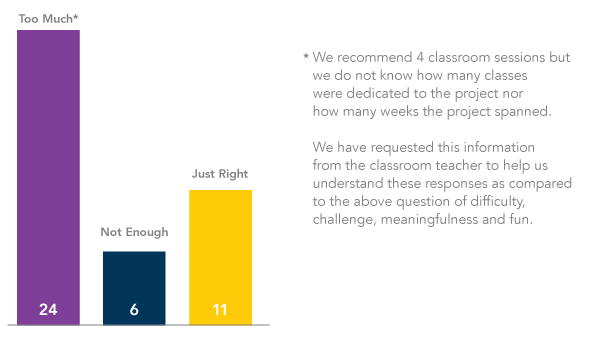 Given this feedback how might we help teachers break the project down into more flexible time units? Considerations and questions: Could we design additional graphic organizers to help students capture their information for the panels in ways that allow for stopping and restarting? Should the work be done primarily at home or in a class or in the library? Can teachers work together across disciplines to create more learning opportunities in the implementation of the project? For instance, could history teachers team up with a counselor and/or librarian? Some students clearly wanted to research more people, some less. And some students needed more instruction and guidelines. How might we frame the lesson to challenge students to stretch themselves and provide differentiated explorations? Considerations and questions: Could we design a single version for the final product so teachers can offer their students a choice? Would this impact the student’s ability to see themselves in relation to the person(s) they admire? Would students relate more easily to one person? Would patterns and commonalities be more easily seen by researching 3 people when comparing them with themselves? 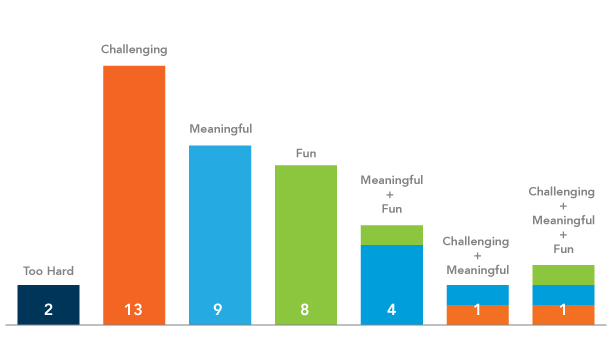 What’s more valuable in the long run for student learning? For us, the feedback from the students at LREI is invaluable. In our work with kids and their incredibly plastic brains we know that we can never predict an outcome but we are certain that their feedback will be honest and direct. And for us as designers and practitioners of design thinking that’s the real beauty of the design process—feedback and analysis leads to the next best iteration. So we are now prototyping new frameworks that address the student's comments asking ourselves: How might we design more lessons that awaken a student’s mind to think in new ways? Stay tuned. 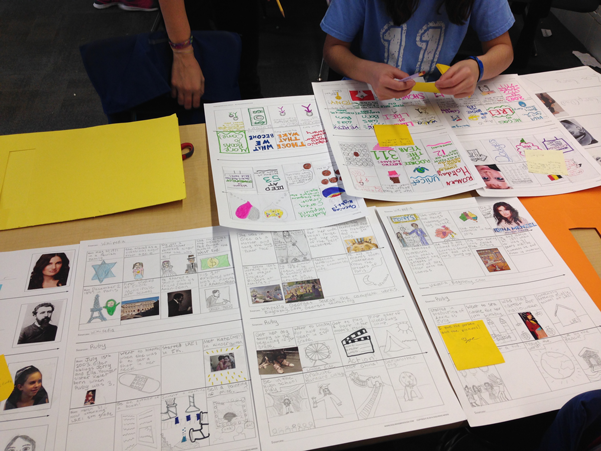 For background on the project go to 5th Graders at LREI Consider Their Future.